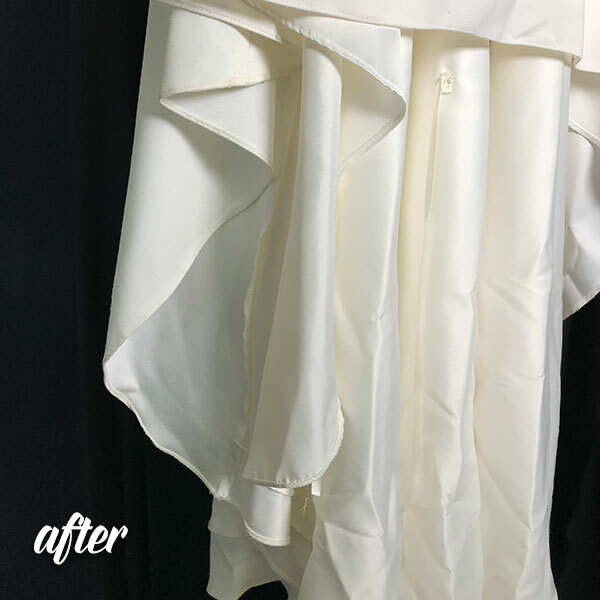 We assisted our customer with her Ellis Bridal Wedding Dress Cleaning and Preservation. 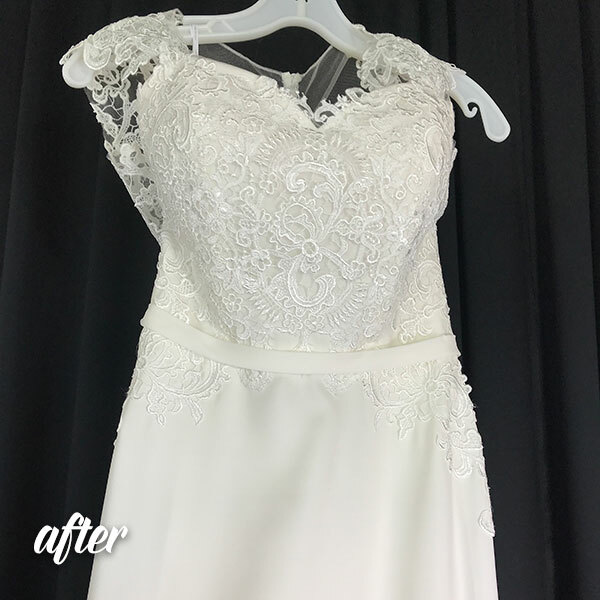 This is an example of a normal condition post-ceremony wedding dress that we receive at our shop. 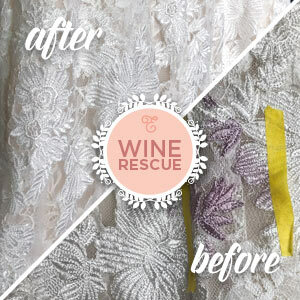 And, many of our brides arrive with hems in a similar condition. 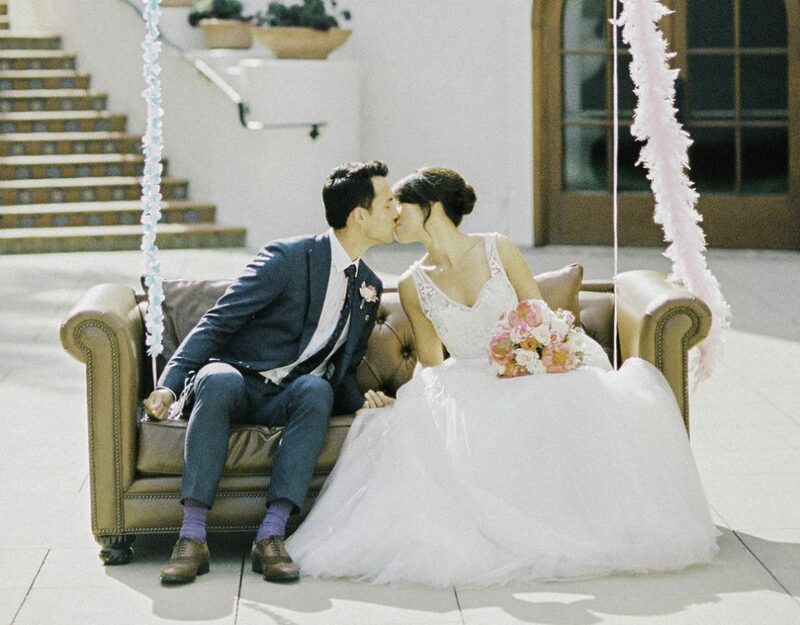 Because, our brides like to have fun! 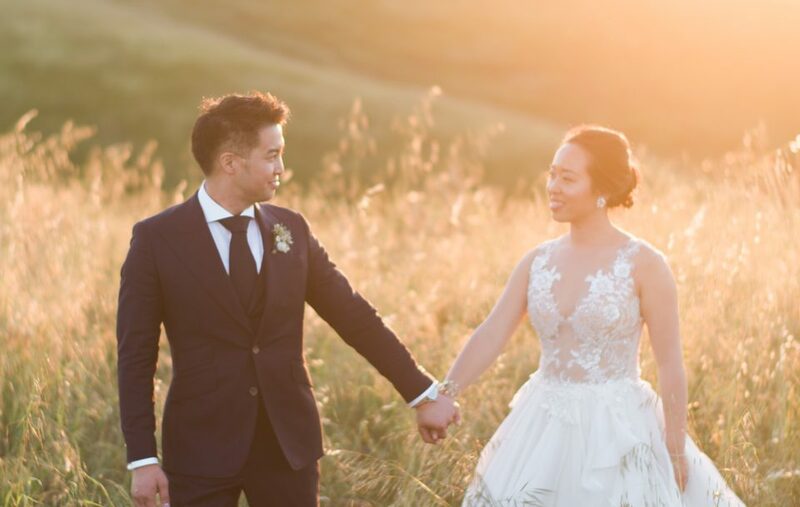 We inspected this dress with our customer in-store. We made her aware that we would do our absolute best for her. And therefore, take the cleaning absolutely as far as the fabric itself permits us. 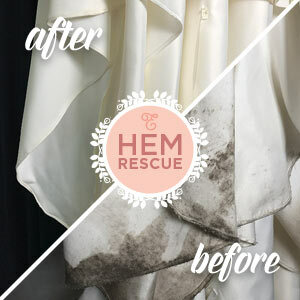 This is our commitment to all of our brides, and we will use all of the cleaning techniques at our disposal to achieve the best outcome. 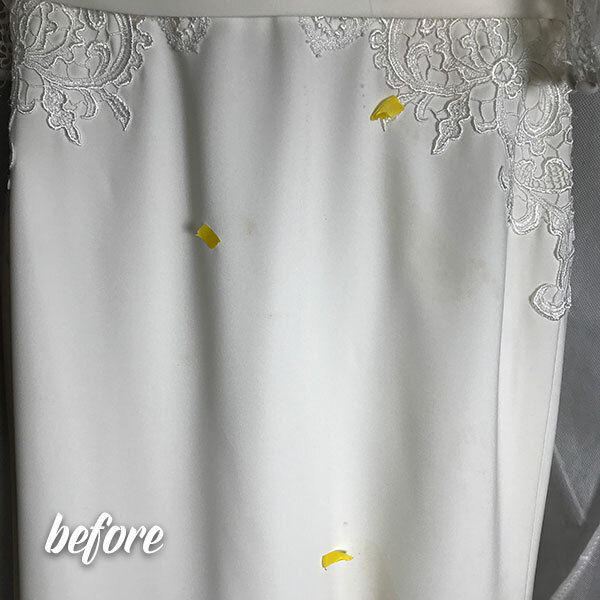 The Ellis Bridal Wedding Dress Cleaning and Preservation project was all work performed by hand. It’s best to think of our cleaning as one large stain-removal project. 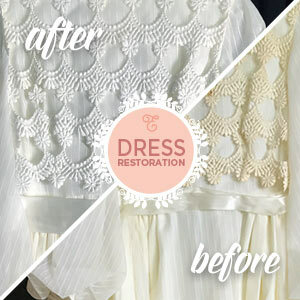 We use the stain removal gun and go thru the entire dress by hand. 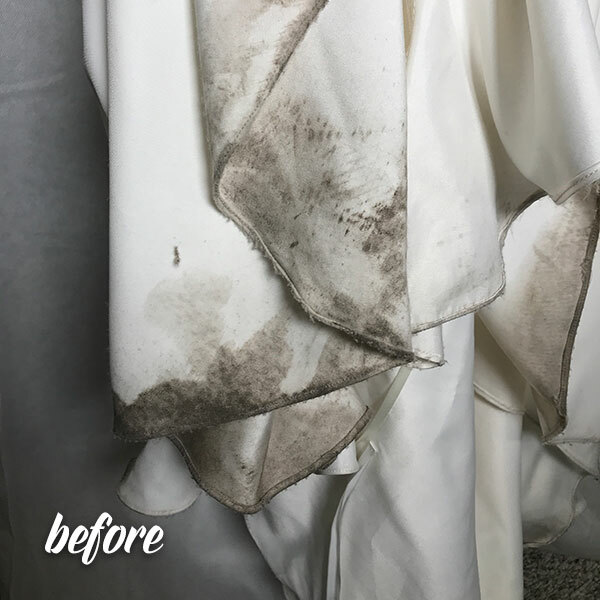 Because we work by hand and are not reliant on machines, t’s a time intensive stain removal process. And it requires years of skill and experience to achieve the optimal results from soiled fabrics. Due to the fact that it’s mainly work performed by hand, the machine element truly functions only as a rinse after cleaning. 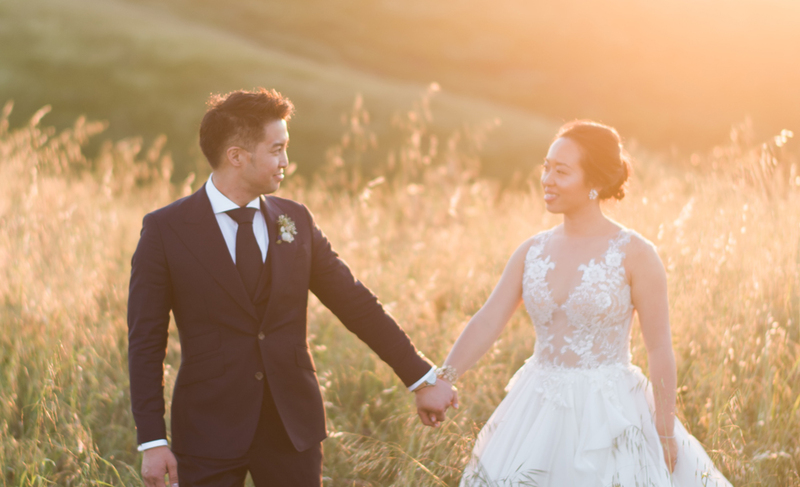 We rely on the years of experience of our master cleaner and his team to push for the best outcome with every dress.